As Paytm asks for a one-time password (OTP) for a transaction, they used to call the victims and convince them that the OTP number was required for making payments, police said. The Noida Police on Monday had arrested three Paytm employees-- Dhawan, her husband Rupak Jain and Devendra Kumar, an employee at the company's administration department for allegedly trying to blackmail the e-wallet giant's founder and extort Rs 20 crore. A fourth accused Rohit Chomal, a Kolkata resident, who is believed to have made the extortion calls from Thailand, is on the run. The trio, including Sharma's secretary, a woman who allegedly masterminded the extortion bid, had threatened to leak the data to cause the firm loss and dent its image. It will carry out most banking operations like accepting deposits but can't advance loans or issue credit cards. Berkshire is pumping in about Rs 2,500 crore into Paytm, as per sources. 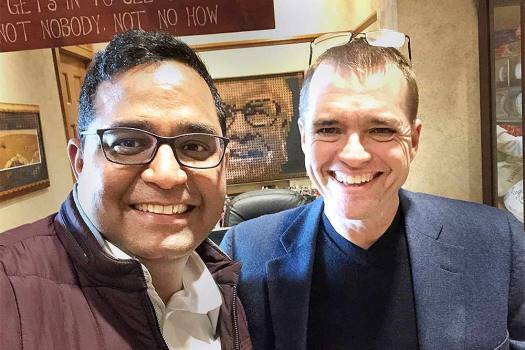 The acquisition will help One97 Communications, which operates the Paytm brand, in further enhancing its user and merchant interfaces, Paytm said in a statement.